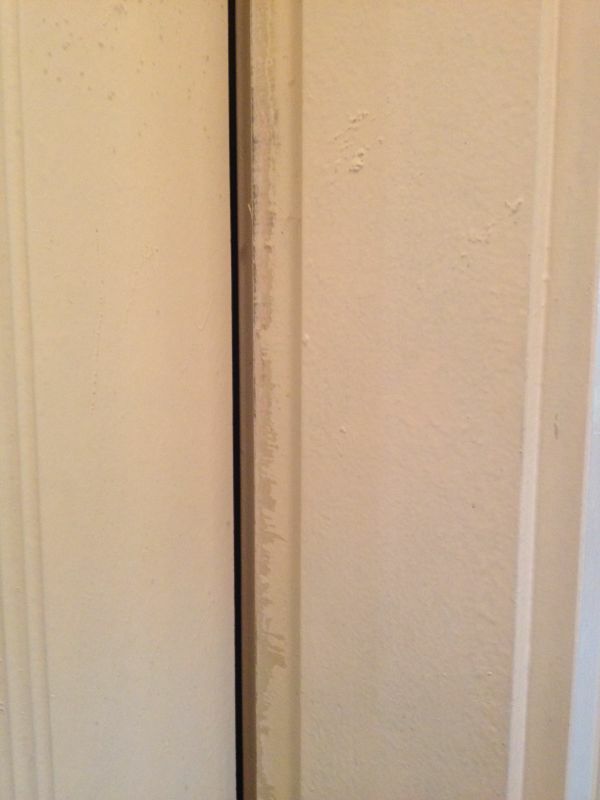 When we received the call, what the home owner suspected was that the hinge of the door has caused it to become slanted preventing the door from fully closing up. 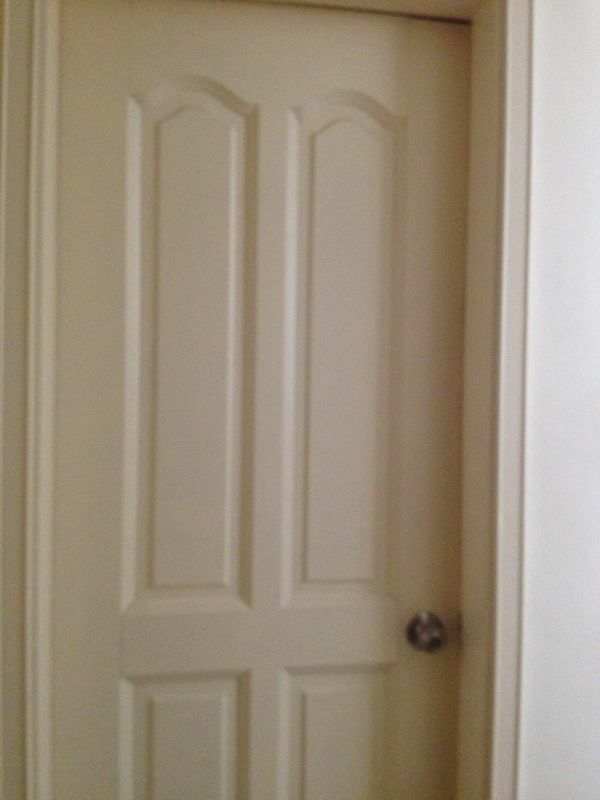 Upon arrival on the site and inspection by our technician, we realize that the hinge seems to be working well and there is no noticeable slant in the door. Upon further inspection, our technician deduce that it is highly possible that the problem could be caused by moisture. 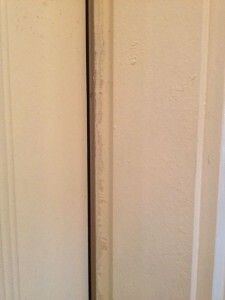 Since this is a bathroom door, moisture could have caused the door to expand. For the repair, our experience technician had to remove the door and “shave” the length of the door by using a power tool. This involve a certain amount of risk because the amount shaved off cannot be too much or else there would be a gap in the door when it is closed. Thankfully the technician handling the case is experience and managed to get all the measurement right. The next part is ensuring the door is properly secured which again is not an easy job as the holes have been drilled before. 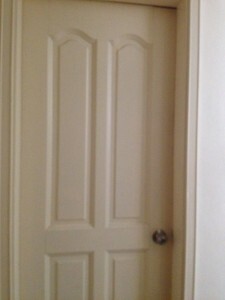 Improper alignment when fastening the door back would mean a slanted door. Finally a coat of paint was applied to the area that was shaved off.